W did this last night at the dinner table. It was more fun than hoped. For starters, the right keychain might transform the time spent in weekday routine dinner time conversation. 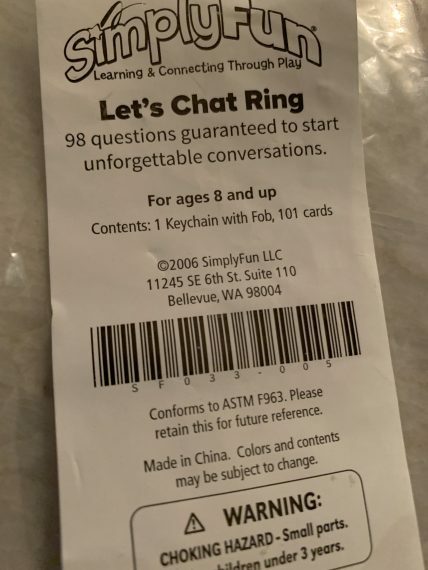 The keychain holds 98 questions. Fun, simple, and interesting questions.